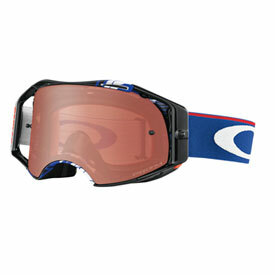 With the Airbrake Goggle, Oakley brings a level of innovation that hasn’t been seen since the early days of motocross. Featuring an entirely new design, the Airbrake introduces features that set new standards for protection, clarity, comfort, and convenience. Features like the Plutonite lens that doesn’t just filter out UV rays, it prevents your vision from distorting because of its optically correct, pre-curved design. And when you want to swap lenses, you can do it in seconds using Oakley’s convenient Switchlock lens locking system. When you’re out riding you’ll experience the Airbrake’s other features, like the outriggers that give even pressure across your face, and the overall design that allows for a much wider field of view than most other goggles. 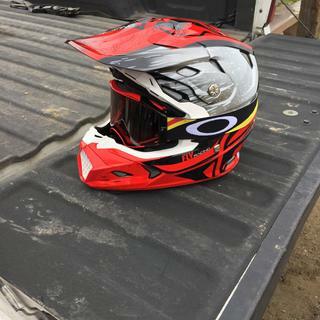 With Oakley putting full customization into the goggle’s faceplate, outrigger configuration, and straps, they’ve made the Oakley Airbrake Goggle one of the few motocross goggles that really can do it all. Comfort: Features an exoskeleton frame, with a durable yet lightweight O Matter exterior mated to a flexible urethane faceplate. Protection: First-ever MX goggle lens made of injection-molded Plutonite. Provides 100% protection against ambient UVA, UVB, UVC and harmful blue light up to 400nm. Switchlock Technology: Makes the process of lens changing fast and hassle-free. Clarity: Safety and performance demand true, accurate vision, so they injection-mold the lenses under extreme pressure to achieve a precise optical geometry. Field of Vision: The sleek design extends peripheral vision to the absolute max. It offers an optimized fit that takes into account the vertical frame orientation when the rider is in racing position. Made for more than just spotting obstacles, Prizm™ MX lenses help you see subtle transitions in dirt conditions so you can master all those split-second decisions to make the most of the ride. You’ll ride with greater confidence because the precise color filtering helps you pick up fast lines, identify differences in dirt texture for traction control and see deeper into ruts where the shadows live. Prizm™ MX lenses are engineered to perform under a wide range of light conditions, so when the track or trail takes you from sunlight to canopy shade, you’ll have all the performance advantages of sharpened visual acuity and vivid color perception. Helps you spot subtle transitions in dirt conditions by separating shades of brown. Enhances visual acuity and detail for making split-second decisions with greater confidence. Performs in a wide range of light conditions, including riding in and out of tree cover. I lost my last pair of airbrake goggles and thought I would try some low cost goggles. 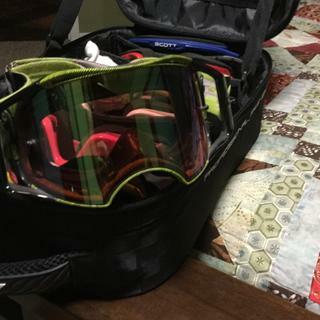 After 6 months of that I decided it was worth the cost for the airbrake goggles. What I love is the ease of lens replacement, the durability of the lense to resist scratches and dings, the 3 layer foam and the way they fit around my nose. The cheaper goggles I tried impeded on my nose and caused me breathing problems and the lenses would be permanently scratches from tree branches. I'm an airbrake lifer now. It's also great that you can rebuild your airbrakes when any individual part needs replacement. The gold mirror lens is awesome in sunlight and shadows in the woods. I am very happy with my purchase. I have no idea what slightly less expensive googles are like because I have these and a pair of dirt cheap ones that have sand paper for foam that touches your face. Very comfortable, good looking goggles. I like the posts that the straps mount on, makes for a sturdier set of goggles. Good goggles. Molded lense offers the best protection of any goggles out, in my opinion. Foam is good, I did not have a need for extra or pads. Only goggle to evenly compare to would be the prospects, I feel the airbrake offers a clearer view regarding the lense however I think the field of view is more "open" and better peripheral in the corners on the prospect. Overall a good goggle. A very clear goggle, tight fit against face with the outrigger system, does not pinch bridge of nose. Absolutely the best goggles on the market. They seal off far better than anything else out there. The molded lens is a huge plus. Great clarity. Admittedly, 4x the price of the cheaper stuff, but after having issues with trash/sand getting around my Scott Recoil's last season I decided it was worth it to see if they would seal off better. Very satisfied with them. 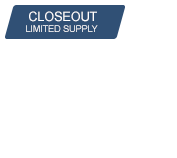 A pair of airbrakes under $100. Score for me. really like the goggles. Fits my helmet perfectly with the outriggers. My only complaint is the location of the tear-off post. You get use to them after a while as they are in your outer peripheral vision. Prism lenses are outstanding. I air way always get shut off wearing other goggles, I love these. I was looming for a comfortable high quality and durable goggles that looked great, that’s exactly what I got with the Oakley airbrakes! My buddy uses them and convinced me I should get some but never brought myself to get them because they where a lot of money, they eventually went on sale so I got a pair and I have yet to regret it, and if you ask me they are well worth the cost and I’d happily pay the price in the future for another pair! Goggles are comfortable, Clear field of view, and modular so lenses, outriggers, straps, etc can be replaced as needed/desired. Shipment arrived as promised and product is as desired. Will return. The best goggles so far. I've tried less expensive goggles and decided to upgrade to the Oakley Airbrake with prism lens. All I can say is that you get what you pay for. The view through the prizm lens is awesome. Of the 5-10 pair of goggles I have these are by far the best. Keep them clean and they'll last a long time. Great visibility. Fits well with my Leatt and 6D helmets. I didn't even get one hour of clear riding. Tahuya ORV single and double track. Got heavy condensation inside even in third and fourth gear on the flats. Didn't feel like there was any anti-fog. One note, I also wore a new Bell Moto 9 carbon flex helmet that fit very tight, which is what made me sweat buckets even though it was mid 30's. They should have cleared on the high speed sections but didn't. Over all I like this Goggle. The only thing I find wrong with them is that they don't vent that well at slower speeds, like my other set of Crow Bar goggles do, that I wear from time to time. They fit great over my glasses and have a wide field of view..... The prism lense works good in the woods and so far they are holding up great. Best goggles I’ve ever had. Bedt goggles in the game!!! Easiest lense replacement there is. Quality is second to none. I was reluctant to spend this much on googles but after buying the airbrake prisms, I realized how good a product they really are in terms of field of view and lens clarity. First time using these, we are in the Pacific NW so clarity is important and these are the best viewing goggles I've ever used! I liked these googles so well I bought a second pair. 1: These goggles fit my face, they don’t push back an make my eyes squinted to blur my vision. 2: The lens has very good clarity at all angles. 3: The foam is plush where it don’t irritate my cheeks an make them raw on long rides. 4 These googles May look big, but it fills the helmet opening to block out flying debris from entering into the helmet. 5: The nose opening is large enough an extends past your nose to protect it. 6: The strap stays in place, it needs to be a little longer. I have it adjusted all the way out. 7: The best part is how easy it is to change the lens. Just lift on both sides locking tabs an it comes out an in with no hassle. 9: Yes it is pricey, but check around an find them on sale. As the saying goes you get what you pay for . This is by far the best set of googles I have ever worn. I am on my second pair and the first one lasted for three years with no issues. Replacing the lens is easy and the clarity excellent. I've been wearing Airbrakes for about 2 years now and love them. This pair was on clearance so I picked them up for a spare pair. Bought them on clearance for a smokin’ deal! Best goggles I’ve ever had! Huge field of view, no fog, and easy change lenses. Top-end goggles but pricey. I think 100% are comparable and much cheaper. There is nothin but good things to say about these the comfort is there, the field of view is there, with the prism lenses everything seems to be high def. easy to change lenses without getting finger prints all over them. And the strap grips helmet really good almost to good. Love the quick change lens system. I got clear, dark, and green lens in addition. Hope these hold up for a while. Work great and they are super comfortable. I was always skeptical of the high price tag but after getting a pair I’d say they are worth the money. There just IS NOT a nicer pair of googles out there! Great vision, very clear. But the other thing is with todays 450's the roost can break a goggle lens. The lens on this goggle are way stronger than a normal goggle. 5* if the price was lower. Best goggles I have ever owned, a little expensive but worth every penny. Spending money on goggles is worth it! Great fit. Gret view. They don’t breath quite as good as my old goggles but I’m a slow rider and sweat like a swine. The lens is absolutely fantastic. The prism lense really does make a difference and the modeled solid lens is very confidence inspiring when it comes to safety. I love the wide field of vision you get with these goggles also the lens is awesome it provides contrast to the terrain which gives me confidence while I'm riding. The goggle design fits my face and doesn't put pressure on my nose. Leaving me to breathe better through my nose. Need to order a yellow/green reflective lens! The best goggles I have ever raced in. Changing a lens takes seconds to do. No more finger prints all over your new lens. Expensive, but worth every penny. These goggles are amazing! I went from Oakley o frame goggles, which are a good goggle. The big differences between the two are , the vision in the airframe is much greater. The o frame goggle is smaller, so when you wearing them the foam is closer to your eye which pushes the skin up toward your eye which can cause a buckle ,or a roll in the skin under your eye the tighter you have the goggle strap. Changing the lenses on the airbrake is effortless. All in all a great product by oakley. Excellent goggles, well worth the money. Don't fog too easily, lens change mechanism is awesome. Case included. Only complaint is that they rest in a strange spot in my nose that makes it a little awkward to breathe through the nose. Note: if purchasing the "Ken Roczen" edition, be aware that the red color in the band is actually a glitter like red color. I returned them for a different set because it was a little too feminine for me. These are easily the best pair of goggles i have ever worn. The injection molded lens is super clear and the padding of the goggle is very comfortable. I normally do not wear goggles often because they restrict my nose airway and causes my mouth to get dry and riding to be less enjoyable because i am often more thirsty. However, the frames of these goggles had a great fit and it was very easy to breathe through my nose while riding in these goggles. They are pricey but i definitely recommend them. I purchased these after seeing that a lot of the pro motocross guys were wearing them. After using them the first time, I realized why. They are absolutely the most comfortable goggles I have ever wore. And the I believe they have the best field of view of any goggle on the market. Initial cost is high but with the easy lens replacement method it evens out in the long run. Fit great and have wide field of view. Awesome goggles. Great fitting and very clear. The Prizm lens is so good when riding in shade and sun. Be sure to buy the laminated tearoffs to protect the lens for being scratched. Love the easy quick change lens. No more 20 minute frustration to change from smoke to clear for night riding. So easy to remove the lenses that I can do it in 2 minutes just to clean them. Wish this was offered in a "sand" goggle as I do get some sand through them when riding the dunes unless I am the lead car. This is the best goggle I have ever used, however if you stop riding for very long they will build up moisture/fog on the inside almost immediately. The reason I gave them five stars is the quick change prizm lens, there isn't a better lens made and it's so easy to change and clean. Can these be comfortably worn over prescription glasses? I have the O frames and they fit the glasses just fine but tend to smash my nose. BEST ANSWER: Ok after buying and owning them for a while, I can answer my own question: No, they do NOT fit over glasses. They are too shallow and do not have enough space between your face and the lens for the glasses to be in. That being said, I also go prescription inserts for my goggles so I don't need the glasses under them anymore anyways. After doing that, I'm in love with them. If your glasses fit under your O-frames then these should easily fit. The nose piece is so much more comfortable than the O-frame as far as fitting wider. I have worn O-frames, although not over glasses, but i has the same problem with my nose being pinched. With the airbrakes, not only is the field of vision wider and the lens clearer, the comfort is immensely better. You definitely get what you pay for. I don't wear glasses but I would expect them to accommodate glasses better than most. The frame is large to improve peripheral vision. However, I have never warn them with glasses. RMATV is great at returns. Worse case scenario you would have to return the goggles. I would guess that there is a good chance they will work. It's not the width so much as the depth that matters. Just about all goggles are wide enough, at least for my glasses, but if they're not deep enough then they will smash the glasses into my face. I just ordered these and got prescription inserts for them. Problem solved. I just tried them with a pair of prescription glasses and they didn't fit too well. They were a little too wide to fit into the Oakley Airframes. I guess if you have a narrower pair of prescription glasses they might work? Thank You! I just ordered them with prescription inserts and my vision insurance paid for it all. Now I'm really stoked! If I hate the inserts, I'll just remove them and wear the goggles over my glasses like I always have. I would say yes these feel roomier than O-frames to me. What lens gives the best clarity for riding through the woods? I race xc and most is in woods with some in the open. BEST ANSWER: I race MX and find that the prism jade works extremely well in both light and dark areas of the track. It gives a very clear image and has great depth perception. Last weekend I raced on a track that was both woods and open track and had no trouble with clarity in either area. Its expensive but. The injection molded optically correct lenses are the way to go. Goggles like the oakley air brake and fox air defense are awesome....i own both. I always just go clear for woods. Hi, I have only rode MX with mime. I have not tried them in the woods yet. I usually run clear, sorry not to be more helpful. When I ride the woods with changing light conditions I have found the clear lens works best for me. I use the Prism Jade as well. It works great in low light and bright light. 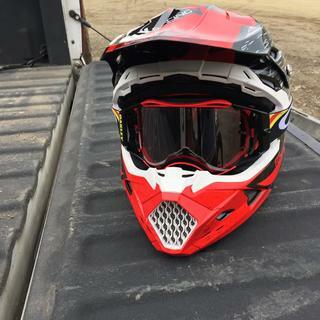 I would look at the Prizm lens by Oakley I love them for trail riding! do these come with a clear lens as well? BEST ANSWER: No, they only come with one lenses, whichever the description lists. Mine came with clear lenses plus tear offs if they say included. Are these Z87 compliant for my shop? BEST ANSWER: The paper work clearly states they are not intended to be worn as industrial safety lenses in any capacity. There is no mention of the Z87 compliance in any of the paperwork provided with the goggle. You’re best bet is, No. They have a good, thick plastic lense on them and they’ve held up great under off-road conditions. I ride enduro, single track trail and I’ve loved these above other models and brands out there. As a riding goggle, they’re top notch, as a safety glass replacement, just get some regular approved glasses friend. Do they have a nose guard like the crowbars ? Mine did not have a nose guard, so I assume that they do not. Hello there is no nose guards on the Airbrakes. No they do not. Best goggles I have ever owned! BEST ANSWER: They come with a very nice case - I don't recall tear offs. The best thing about them is how easy I can change lenses. I now use different lenses for off-road, motocross, stadium lights, etc. I also have the roll-off kit which works better in muddy offroad races than any roll-offs I'v ever used. I guess I'm a fan. Comes with case, goggle bag and lens. I bought a second lens for night riding that also came in a bag. The lenses are really easy to change. I think you could put tear-offs on them, but I ride dry sand and do not need them. These are not "sand" goggles by the way, sand does get through the foam, but it does not bother me while riding usually. I think mine came with a clear lense and a case. No tear offs. Best googles I have ever had. It comes with a case and like 4 tear offs. Mine did anyway. is the prices us dollars or austrailian? BEST ANSWER: All prices online are in U.S. dollars.